Lewis Hamilton is convinced Mercedes is on the pace and in a three-way battle with Ferrari and Red Bull at this weekend's Singapore Grand Prix. Lewis Hamilton is encouraged by Mercedes’ progress and expects his team to make it a three-way fight with Ferrari and Red Bull at this weekend’s Formula 1 Singapore Grand Prix. 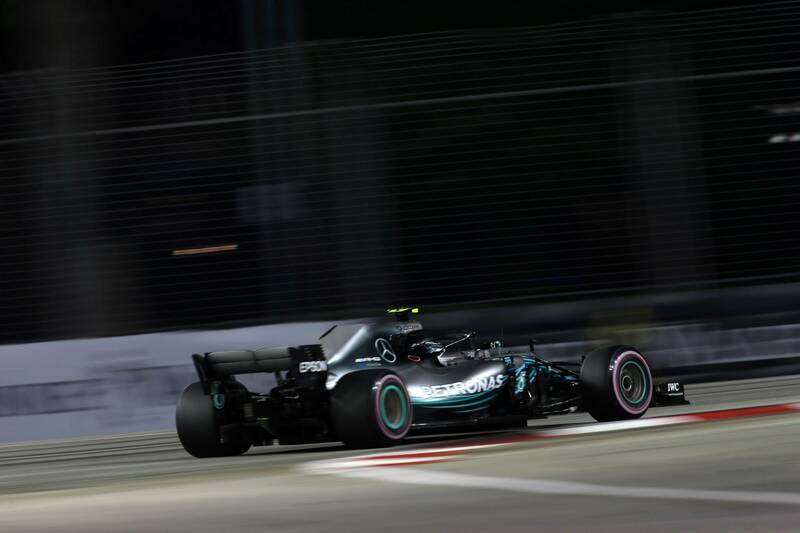 Mercedes struggled for pace at last year’s race in Singapore, when the reigning world champions’ were consigned to the third-row of the grid after a difficult qualifying in which Hamilton finished over half a second adrift of poleman Sebastian Vettel, before sealing an unlikely win in what turned out to be a dramatic race. Fast-forward a year and Mercedes is looking better positioned to challenge Ferrari and Red Bull. Mercedes did not run the Hypersoft compound in opening practice but Hamilton was able to get within 0.011s of FP2 pacesetter Kimi Raikkonen’s time as he ended Friday second-fastest. “It's looking like it might be a three-way fight between Ferrari, Red Bull and us,” Hamilton explained. Hamilton noted a significant difference in Mercedes’ 2018 challenger compared to last year’s event and is confident the team will be more competitive this time around, though he remains wary of how much pace Ferrari still has to unleash. Valtteri Bottas was unable to match Hamilton’s time as he ended up only fifth-quickest and behind both Red Bulls in FP2 but believes Mercedes has made “massive” improvements in high-downforce trim and is much stronger compared to the start of the year. “FP1 already looked a bit better than last year,” Bottas said. “In FP2, both Ferrari and Red Bull looked very quick, but we were not far off,” he said. “The car has been improved massively in the high-downforce trim. It is much quicker, even compared to the beginning of the season.